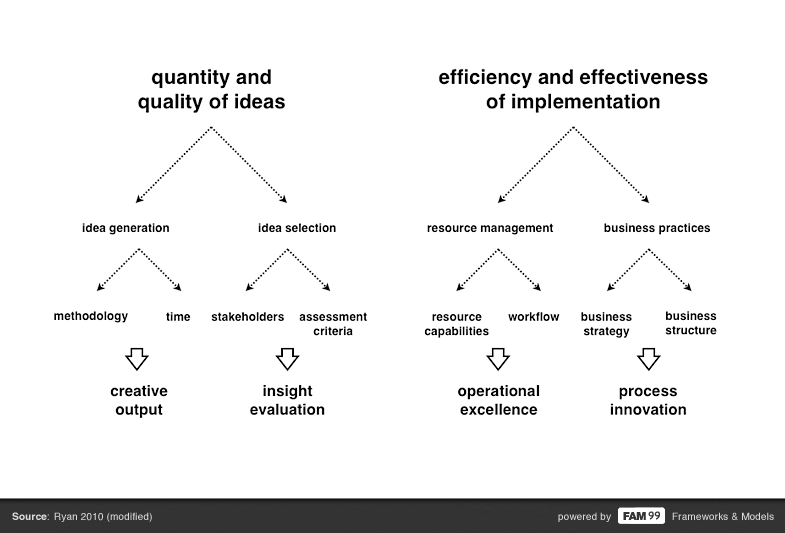 The elements affecting performance of innovation in organizations. Success rate for corporate innovation is dependent on many factors. Often not the creative input (quantity plus quality of ideas) is the most critical factor for success but rather the process and resources available for the products implementation itself. The presented chart is a draft model to describe the values that might come into play when planning and executing innovation practises.